Nicasio Froilan was a Filipino fisherman who felt blessed to be married with five beautiful children. Until Typhoon Haiyan hit in November 2013, the family lived peacefully along the sea wall of the community of Mercado in the Philippines. “After the devastation of the typhoon, I was hopeless. 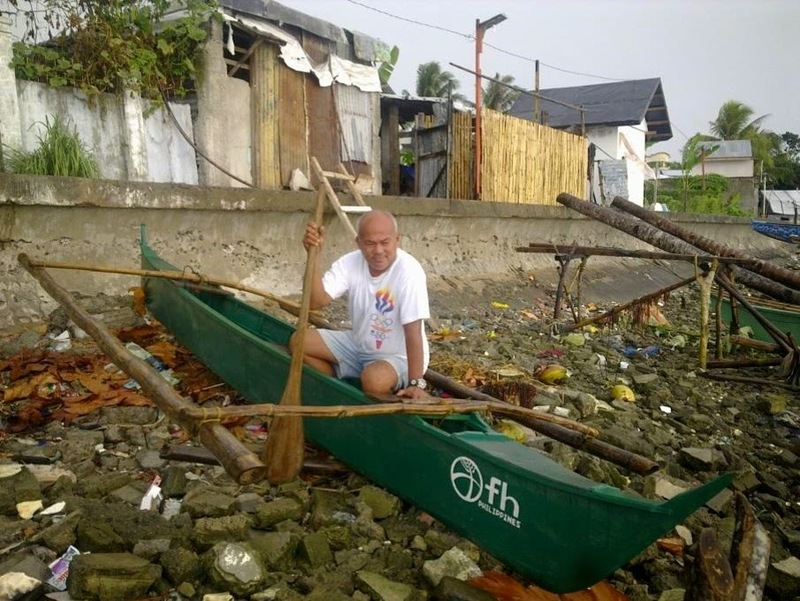 We had nowhere to go because all of our belongings were washed out to sea,” he said. The community’s evacuation center served as the family’s temporary home. Without it, Nicasio believes his family would have died of starvation. Food for the Hungry (FH) was one of several NGOs that distributed food and other life-saving supplies in Nicasio’s community after the typhoon. FH also hired Nicasio for a cash-for-work program. Nicasio also received fishing gear, such as crab nets and long lines. He’s delighted to be able to return to fishing. He’s now able to feed his family again, and to sell what’s left over to buy other necessities. Nicasio often shares his catch with neighbors, especially the elderly.